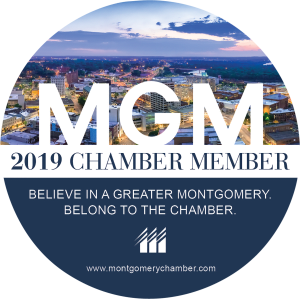 Have you downloaded your new 2019 Chamber Membership Decal yet? If not, you can download it directly from our site. We encourage you to display it proudly on your website and remember your investment in us fuels economic growth for the region. Growing jobs and capital investment that build more business for all. Creating opportunities for meaningful business connections and promotion. Enhancing the Montgomery area’s brand and image as a destination for business, visitors and residents. Working and advocating for a strong business climate, vibrant talent and improved quality of place. Connecting you and your employees to vital resources and impactful issues. Your membership is filled with great member benefits, free business resources, relationship-building opportunities and engaging Chamber events. Let us help your business BUILD ON to success! Your membership includes a full list of benefits and most of them are FREE. Let us help you connect and engage with other members in the community to grow your business, your client base, and fuel your business with the resources it needs to thrive. TIPS Club - Share news, ideas & tips with other small business owners – Interested in joining? Email Linda Drumheller for complete details. Montgomery Business Journal – We are always collecting good news to share, so email Jina Miniard all your news and press releases.